Well, it’s that time! We had a marvelous time this week creating, then blogging, then Instagramming all about the new collection – Chantilly Paper Lace. It’s just as much a thrill for us because we’ve been waiting to play with these dies for a long time. A heartfelt thank you goes out to all that stopped by to look and leave your thoughts. In this day and age with so many Social Media options, the blog really is the home base to get tutorials and information in a longer form that the 6 word sentences on places on FB or Pinterest or Instagram. So thank you to the loyal who come back here and support us. We thank you from the bottom of our hearts and these prizes are a small token. For the (5) winners who left comments on the Creative Team’s blogs, please go to the top right corner and click on the contact tab. Within the next two weeks, please leave your mailing address and tell me which die you would like from my Venise Lace Collection. When you hit enter, I will get your email. Do not worry, you will not get a confirmation, but I will have your information. There was a bonus for early bird commenters and a little extra somethin somethin is going in your box. For the (1) winner who left a comment on the Spellbinders Blog we didn’t mention a prize, but surprise, there is one. Spellbinders has graciously donated a Magnetic Handy Mat and a Main Attraction Magnet. It is redeemable only through me and the winner must access the contact tab on my blog to leave their mailing address. Please note: I have a heavy design and travel schedule and am currently behind on sending out prizes but you will get them. I pinky promise :-) (Sometimes we are waiting on a reorder of your choice, so please allow 4 weeks). 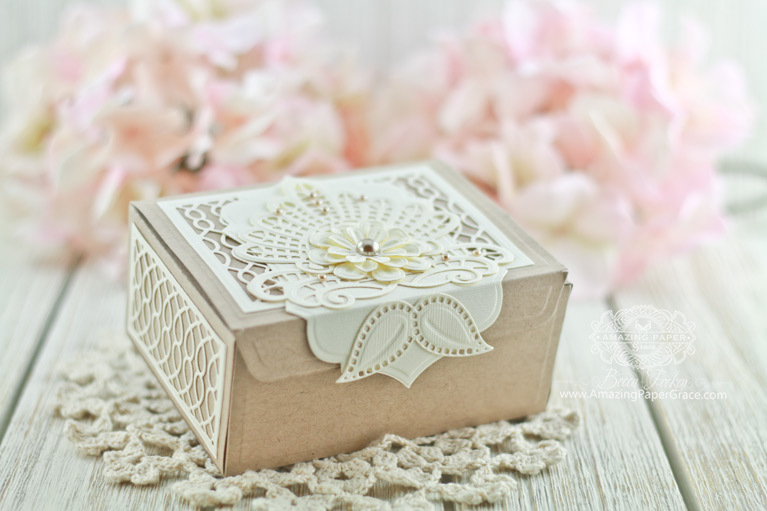 Speaking of Venise Lace, the project at the top of the blog is a sweet box made by Creative Team Member Teresa Horner. 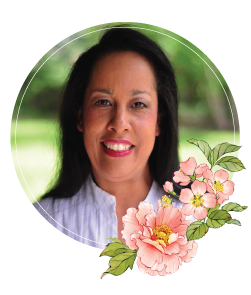 Venise Lace is one of our very favorite collections and I reach for the dies often. Thank you so much for supporting us. Please hang in there, we’re working on so many lovely changes behind the scenes at Amazing Paper Grace. Good morning Becca, I truly am amazed at the opulence of your creations!!! If only I had the creativity in my pinky that you do!!! Your heart skips a beat when you see your name in the winner’s list!!! I know mine did, then you wait with baited breath for the postman!!! all the winners enjoy your dies …. Thank you so much for your generosity and congratulations to the winners! What a beautiful box too! All the best for your travels and look forward to some more amazing designs! Beautiful little box. I ?? the Venise Lace collection also! Thanks for all you do for our “sport!” Congrats to all the winners! Lucky!!!!! Love the look of your new Die set Chantilly Paper Lace. It reminds me of my Grandma’s Crochet, which I still have.